Our Camden County Real Estate will provide you all the insight you need to chose a home in Camden County. 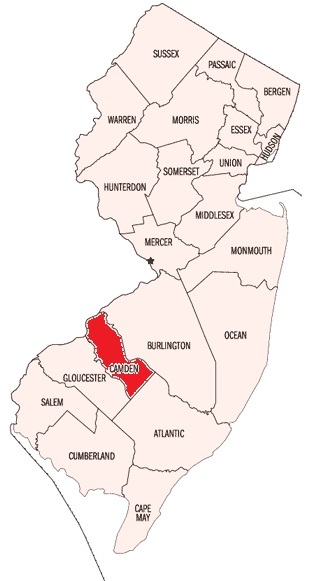 This county is the most developed one of the three here in Southern NJ. It is directly across from Center City Philadelphia. Several bridges connect it - the Ben Franklin, the Tacony Palmyra and the Betsy Ross Bridge. Because of its great proximity to Philadelphia, it became very popular years ago and developed into quite the "bedroom community" of Philadelphia! The famous Cherry Hill Mall was built here and has the distinction of being the first enclosed Mall within the United States! The High Speed Commuter Rail Line (PATCO) is a great commuter ride for those that want to work in Philadelphia, yet live in Camden Co, NJ. It also provides an excellent way to travel to the various Riverfront Escapes, along the Delaware River - Riversharks Baseball, Adventure Aquarium, Battleship NJ, Susquehanna Bank Center (Outdoor Concert Venue) and the Ferry from there to Philadelphia. Just imagine working in Center City Philadelphia and then stopping for a baseball game on the way home - all through the great convenience of PATCO. Some of the communities within Camden Co are still maintaining their "older charm" while developing some of their real estate to today's needs. The advantage to a county that is so close to everything is the restaurants, entertainment, schools, etc are more established and typically better? The down side to this, of course, is traffic! Unfortunately, Camden Co is not know for getting from "A to B" very quickly! However, the diversity available to a home owner can certainly overcome that negative! Camden River Front Park is a beautiful Park with sailing opportunities and great walkways for a leisure stroll. Rather search for a house by Map? 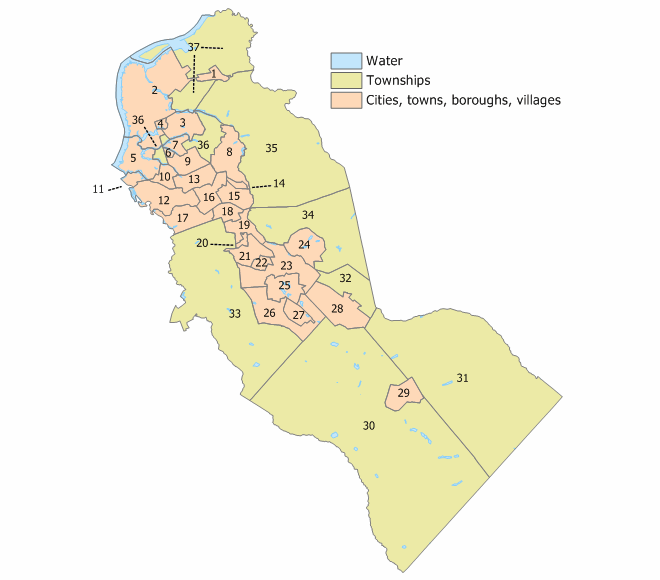 Need further information on a community within Camden County?